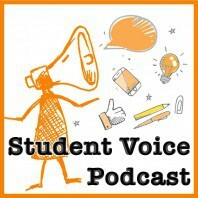 This is Episode 2 of the SoundOut Student Voice Podcast series featuring Lauren Barry, hosted by Jean Courtney. Lauren Barry is a Grade 11 student at Centre Hastings Secondary School in Madoc and was elected to the position of student trustee for the Hastings and Prince Edward District School Board. Lauren became an active citizen early, most notably when she served as a Legislative Page at the Ontario Legislature while in elementary school. Enheartened, Lauren applied for a seat on the Minister’s Student Advisory Council. Now in secondary school, Lauren continues her civic engagement as a member of her school’s student council in addition to her duties as student trustee.